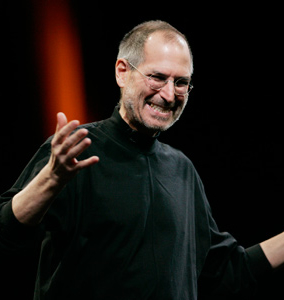 Seasoned wireless entrepreneur and venture capitalist John Stanton revealed that Steve Jobs had some big ideas about wireless handsets and how the world should connect through them. Stanton spoke Monday at the Law Seminars International event in Seattle. For about three years, the late Steve Jobs had explored ways to replace wireless carriers by utilizing unlicensed wireless spectrum. Stanton and Jobs had discussed this topic at length, theorizing whether or not wireless technologies like 802.11x could supplant traditional cellular companies. "He wanted to replace carriers," said Stanton. A wireless mesh network (WMN) which uses wireless devices as ad-hoc access points was likely on the list of possibilities discussed. Just before the first iPhone was released, Mr. Jobs had all but given up on the idea. However, using his forward-thinking ideas as leverage in meetings, the Silicon Valley legend forced the hands of big telecommunications companies into making unprecedented concessions. AT&T gave Apple more latitude than any other phone manufacturer. The company had tremendous involvement with its own product within the AT&T ecosystem itself. Despite Jobs' initial resistance, the App Store was a prime example of power shifting away from AT&T. While an "app store" was by no means a new idea, it was the first time such a marketplace existed without the carrier getting a cent in return. Shortly afterward, Android followed suit and other carriers were forced to play along with this nearly profitless model. Stanton said, "If I were a carrier, I'd be concerned about the dramatic shift in power that occurred," as he reflected on what a frustrating experience it must have been for AT&T. By maximizing Apple's power over their products and services, the wireless company diminished its own. In return though, AT&T was rewarded with the exclusive privilege of offering one of the most desirable phones ever produced. Within urban areas where nearly everyone carries a cell phone, a mesh network of wireless phones does not sound unthinkable. Will a time come when big wireless operators, or at least the premium services they offer, are rendered obsolete by what is effectively network device crowd-sourcing?